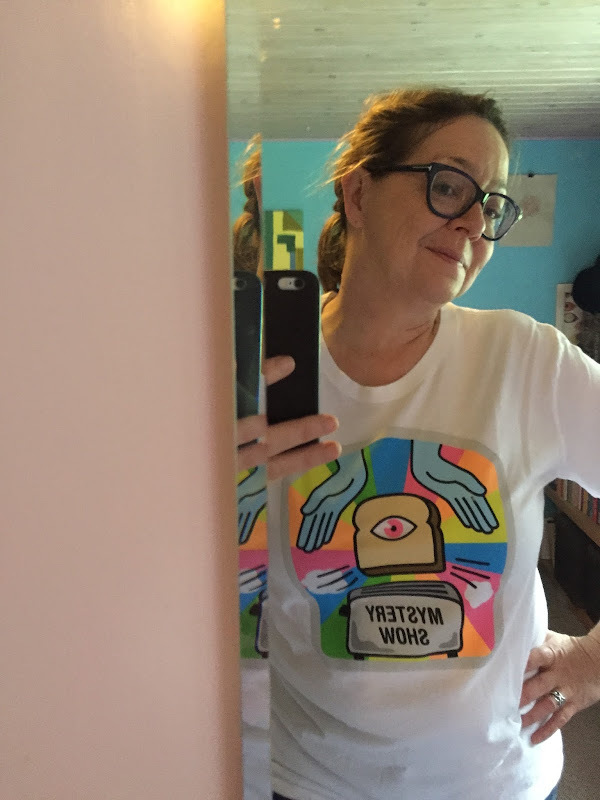 i joined gimlet (hint: they make several of my favorite podcasts) a few months ago and i selected the mystery show t-shirt. it arrived the other day with this letter, which is a seriously awesome piece of content marketing. i wore the t-shirt for the first time when i was hosting a drink & draw and i knew that it was going to be an awesome day. i have yet to tweet it, but i'm saving the photo of me in for a day when i have made a really momentous decision. because some days are like that. and superstitions might be real. 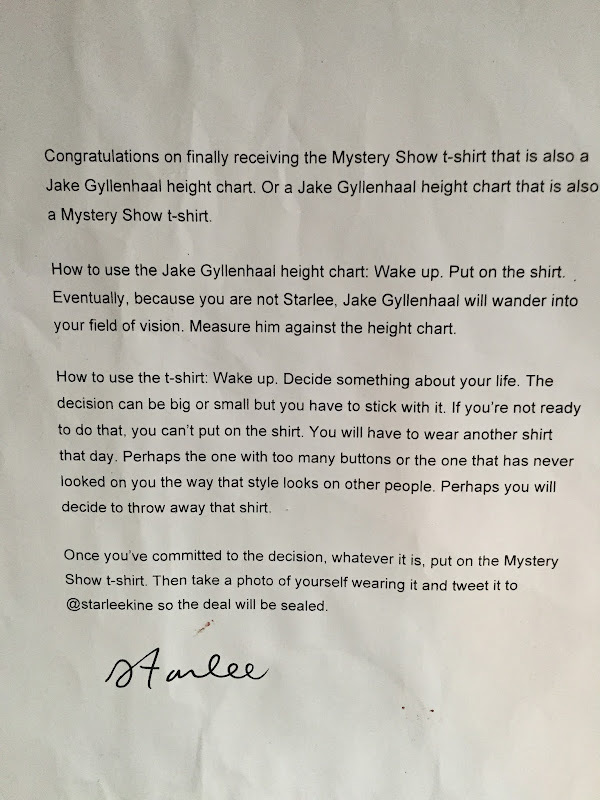 and if you want to understand the logo on the t-shirt, listen to episode 3. and if you want to get the jake gyllenhaal reference, listen to episode 5. you won't regret it, i promise. here's hoping your weekend is awesome.